A new study has been published that indicates hammerhead sharks are prone to delayed mortality due to the stress of being caught. A team of scientists at the University of Miami (UM) Abess Center for Ecosystem Science and Policy and the Rosenstiel School of Marine and Atmospheric Science simulated catch-and-release fishing on several different species of sharks. They took blood samples from five different species of sharks including tigers, lemon, blacktip, hammerheads and bulls. The samples were used along with satellite tags to track the shark’s survival after release. They found that hammerhead sharks had the highest levels of lactic acid build up, even when they were only on the fishing line for a short period of time. The satellite tags also indicated that hammerhead sharks were also prone to delayed mortality after being released. This information can be used by anglers to help sustain the hammerhead shark population. “Many shark populations globally are declining due to overfishing. Shark anglers are some of the biggest advocates for shark conservation. Most have been making the switch from catch and kill to all catch and release. 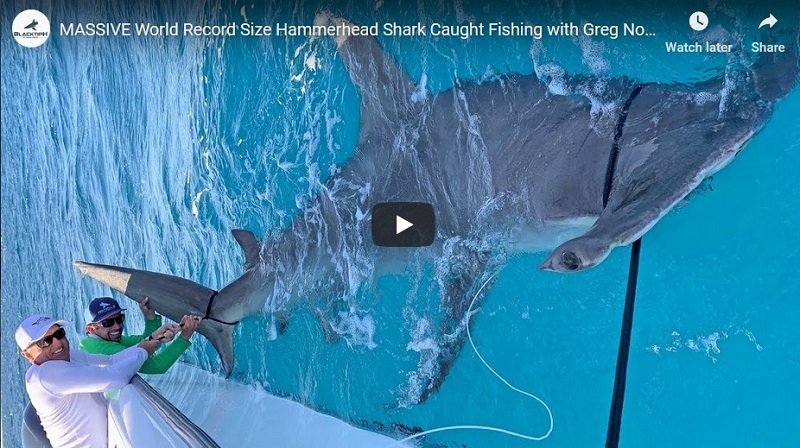 Our study helps concerned fisherman make informed decisions on which sharks make good candidates for catch and release fishing, and which do not, such as hammerheads.” Research Assistant Professor at UM and study co-author Dr. Neil Hammerschlag said. Hopefully with this information, anglers will choose to release hammerhead sharks once they are identified.